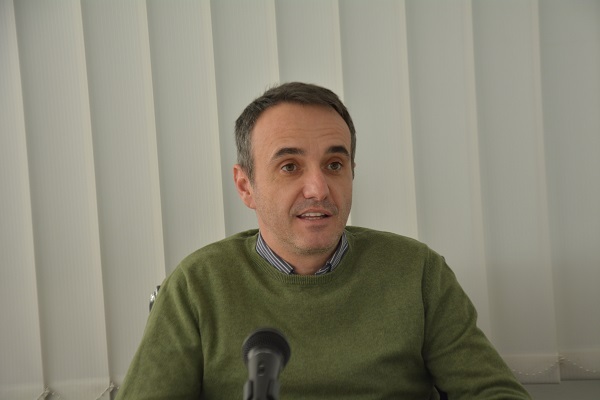 “2018 was an exceptionally interesting year, although we can say that we consider every year in the Macedonian society as destined, interesting, related to major events…That’s how it was also in the last three – four years, when that base for more significant changes in society was practically being created, and 2018 was supposed to be that year that would truly bring changes in society, not only in a symbolic manner, but also in a more essential manner in many spheres of life”, stated the President of the Association of Journalists of Macedonia, Mladen Cadikovski, for “Perspectives 2019”. Even though 2018 according to him was supposed to be the year of more significant changes in society, Cadikovski says that this did not happen in a sufficient degree, or at least not in the way the citizens who wanted to see a different society were expecting. Przino commitments and the things that were supposed to bring crucial changes…This is probably now only left as part of the media community that is constantly reminding the Prime Minister and the others about these obligations that are extremely important. But on the other hand, we have the Prespa Agreement, which is indeed significant, although for many in society a painful act because it foresees changes in the constitutional name of Macedonia, though it opens the perspectives for the Euro-Atlantic integration, first NATO and then the negotiations with the European Union”, says Cadikovski. Cadikovski says that the expectations are always high for this year and for the changes inside the state, but if we look at all the things Macedonia has went through until now and how changes in the institutions have taken place, he cannot say that he is too much of an optimist. “Following the Prespa Agreement, many things will depend on the personal capacity of those who are leading and creating the policies and of those who are implementing them. It’s not just important to have two-three smart heads at the top who know what to say, it is much more important how all of that will be carried out on the ground. The political will is one thing, and we hope that it does exist for greater changes, and how all of that will be implemented on the ground is a second thing”, adds Cadikovski. “If Macedonia is given the negotiations with the EU, then I think that we will be under stronger reflectors, and this semi-darkness of the functioning of the institutions will be strongly lit and things will move with a different pace. Realizing the aim of the EU negotiations is also a difficult task, and I am not convinced that Brussels will grant Macedonia for everything it has achieved in international politics. I think that they will insist on the domestic tasks, the judiciary, the fight against corruption, the media and freeing the market clutches of the economy, on order for the EU negotiations to start”, adds Cadikovski.